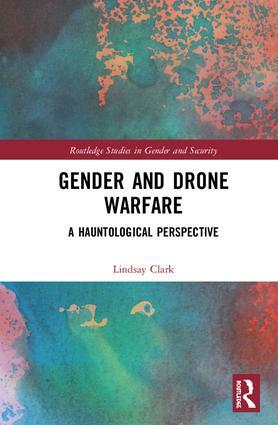 This book investigates how drone warfare is deeply gendered and how this can be explored through the methodological framework of ‘Haunting’. Utilising original interview data from British Reaper drone crews, the book analyses the way killing by drones complicates traditional understandings of masculinity and femininity in warfare. As their role does not include physical risk, drone crews have been critiqued for failing to meet the masculine requirements necessary to be considered ‘warriors’ and have been derided for feminizing war. However, this book argues that drone warfare, and the experiences of the crews, exceeds the traditional masculine/feminine binary and suggests a new approach to explore this issue. The framework of Haunting presented here draws on the insights of Jacques Derrida, Avery Gordon and others to highlight four key themes -- complex personhood, in/(hyper)visibility, disturbed temporality and power -- as frames through which the intersection of gender and drone warfare can be examined. This book argues that Haunting provides a framework for both revealing and destabilizing gendered binaries of use for feminist security studies and International Relations scholars, as well as shedding light on British drone warfare. This book will be of interest to students of gender studies, sociology, war studies and critical security studies. The Routledge Studies in Gender and Security series looks to publish books at the intersection of gender studies, international relations, and Security Studies. It will publish a broad sampling of work in gender and security – from private military companies to world wars, from food insecurity to battlefield tactics, from large-n to deconstructive, and across different areas of the world. In addition to seeking a diverse sampling of substantive work in gender and security, the series seeks a diverse author pool – looking for cutting-edge junior scholars alongside more established authors, and authors from a wide variety of locations and across a spectrum of backgrounds.